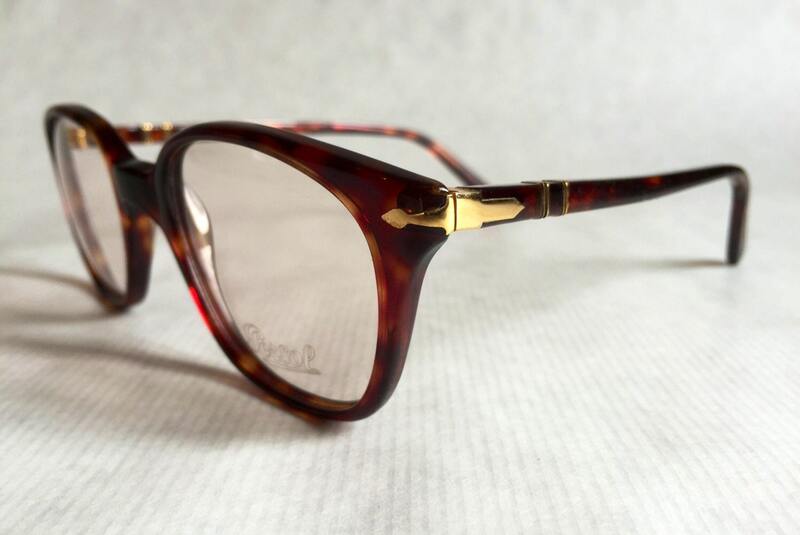 Made in Torino, Italy in the original Factory of Guiseppe Ratti in the 1980's. 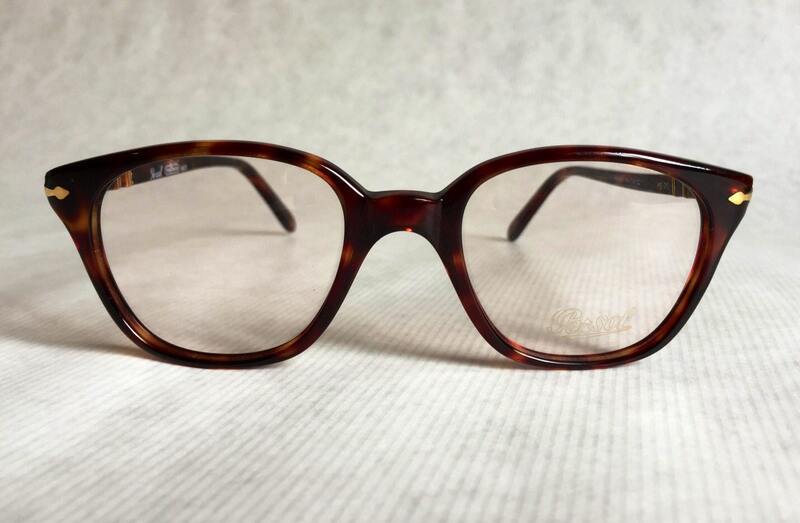 A unique panto model manufactured by the master of italian eyewear fashion, Guiseppe Ratti, original creator of the Persol (per il sole) brand. 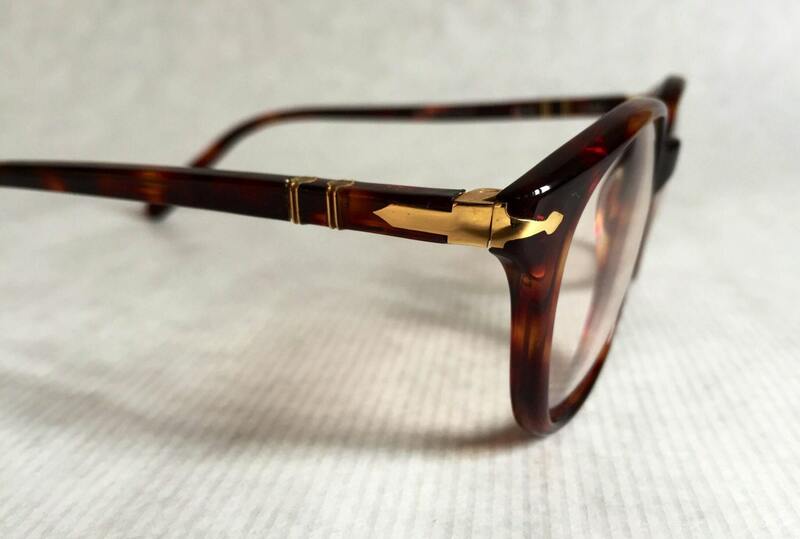 This piece is made of a beautiful tortoise acetate with the classic Persol arrows in gold and the sturdy meflecto flexible temple mechanism. 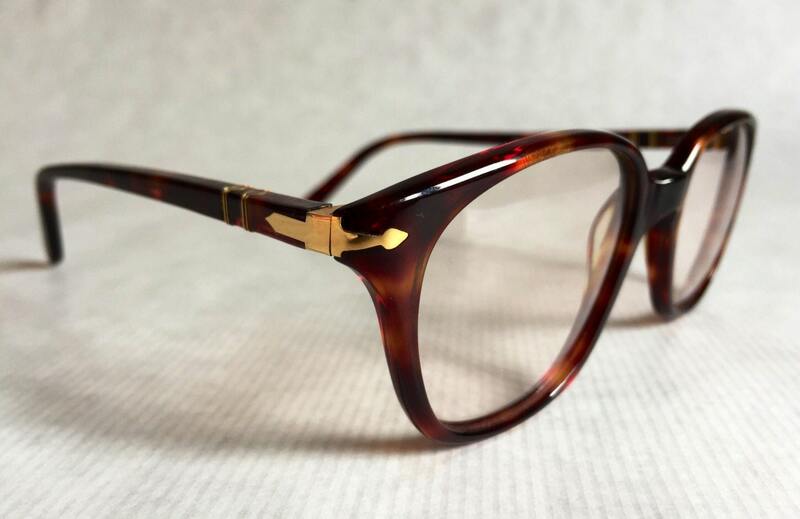 The temples are quite tight, making the frame a little more narrow, i will be glad to file the temple ends before shipping if required, can also be done by your trusted optician. 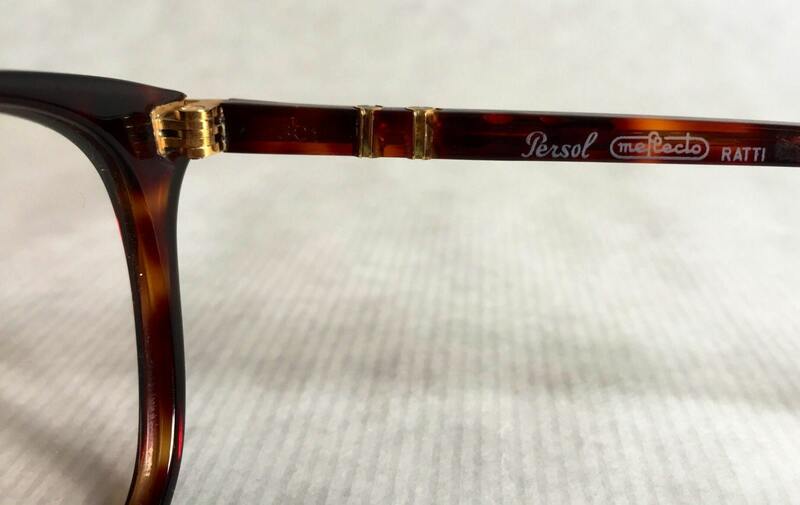 Original Persol demo lenses in very good condition, only very few small surface scratches, can be worn as is or fitted with tinted or rx lenses.